It is impossible to find website builder software that will be a one-size-fits-all solution. Whatever web building tool you will go for, it will come with its specific characteristics, pros and cons as well as user indications. There is one common feature that is a must for any modern website builder – the one that allows building websites, optimized for mobile viewing. 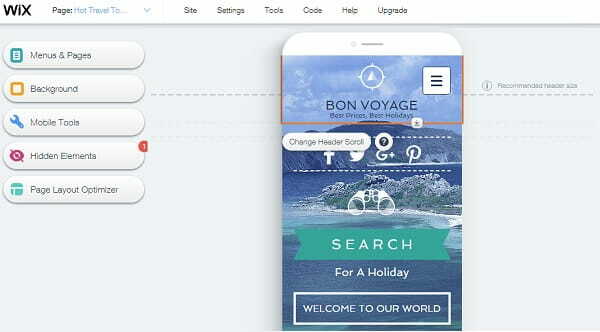 DudaMobile is a mobile website builder, which initially targets users, who have websites with no technical opportunity to set up the mobile version. Such websites generally look outdated and, thus, are not quite popular with contemporary users. The variant of using DudaMoblie still has multiple demerits, the major of which is the need to create two separate versions of a website. You initially have to launch an ordinary website to convert it into a mobile one then. 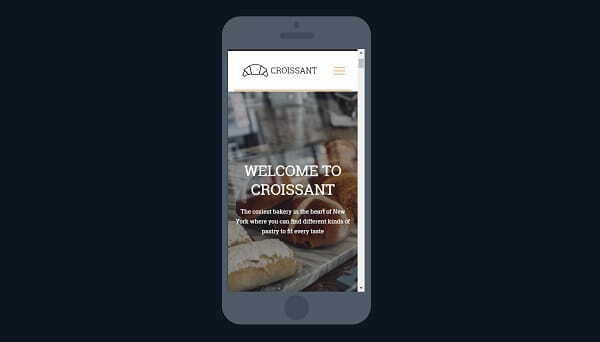 Read in details: How to Create a Separate Mobile Version of Your Website. Obviously, this is a waste of your time and money. What’s the sense in doing that, if you can use DudaMobile alternatives that support both desktop and mobile website versions at a time, enabling you to create full-featured quality projects? Contemporary web building niche abounds in such website builders, but two of them stand out from the crowd due to the rich feature set and functionality tools needed to launch mobile-ready websites from scratch. These are Wix and uKit. Let’s see what exactly these services can offer us in terms of website mobile optimization. Wix has distinguished itself as a popular cloud-based website builder, which allows launching different types of websites for personal and business use. The platform serves millions of users worldwide, irrespective of their skillfulness and expertise level. When it comes to mobile optimization, the website builder has much to offer contemporary users. All the templates the website builder has are automatically optimized for mobile viewing. There is also an opportunity to make use of Wix Mobile Editor to create touch-friendly websites that can be further customized with regard to your needs. There is no need to worry about the desktop version of your website as it will remain unchanged, while you will be working on the mobile version of it. This is how you can achieve two goals at a time, boosting your business performance. So, how difficult is it for a newbie to create a mobile website version? Does it take much time to do that and how much will it eventually cost? What you should know is that no special skills or expertise are needed to complete the task within the shortest time possible with Wix. The entire process is similar to creating a standard Wix website. You just need to choose the elements you would like to integrate into your mobile website, drag them onto a page and make the required edits. The WYSIWYG Wix Mobile Editor will help you control each change you make, displaying the result. Due to the convenient Mobile Preloader, you’ll be able to upload your company logo to the loading screen users will see on their mobile devices, thus giving it personalized look. The changes you make in the Mobile Editor don’t affect the desktop version of your website. It will remain unchanged. At the same time, all the edits you make in the desktop version are automatically displayed in the mobile one. Thus, you won’t have two separate versions of your website. What about the cost? Wix Mobile Editor is absolutely free for all users and it can be applied to paid and free website templates. It is up to you to decide, when to activate or deactivate the mobile mode and whether you currently need it at all. What also matters is the fact that mobile and desktop website versions are available on the same domain. This means that both of them will be equally indexed by the search engine, which will eventually have positive effect upon the SEO optimization of your website, traffic generation, visibility and search engine ranking. Read also: In-Depth Wix Review. uKit has won worldwide recognition as a small business website builder, which also allows creating mobile-responsive websites. All the templates the website builder offers are responsive right from the start, which means that websites created with the system will automatically be displayed on mobile devices, fitting their screen resolutions and sizes. The system comes with multiple editing options, which give your website the desired performance and design. All in all, there are more than 350 responsive website templates here, which fall into specific business categories based on the niche they belong to. Each template can be fully customized to meet certain criteria and objectives. The use of integrated widgets (JivoChat, Callback Feature, LiveChat etc.) boosts the performance of your website, attracting more users, who wish to contact you the sooner – the better to solve the problems they face. You can also improve your website menu by editing it as you wish. This does not concern the general menu design only, but also the look of the icons, categories and other menu elements. 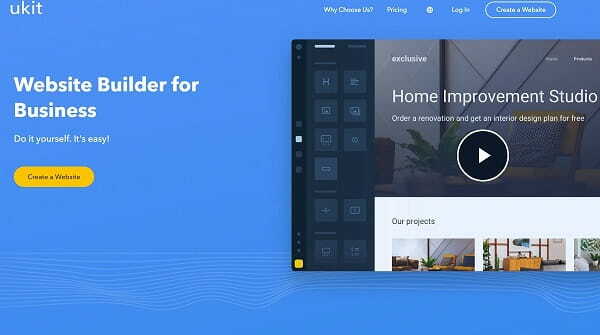 What’s more, the website builder offers extensive design color modification options and you can switch between them, when working on your website development. Thus, uKit approach to building mobile websites somewhat differs from that offered by Wix. There is no need to switch between a desktop and mobile versions of your website here. Whatever template you will go for, your website will be responsive by default. Users will be able to view it both on their mobile devices and desktop computers. Read also: uKit Review and uKit vs Wix comparison. Mobile Version or Responsive Website – What Works Best? Suppose, you’ve decided to make your website accessible on mobile devices. Which option will work best for you – creating a mobile website version or making it responsive by default? To answer this question, we need to understand the major features of both variants. Mobile websites are designed exclusively for mobile viewing and browsing. They are accessible on different types on mobile devices based on the settings you make and the objectives you pursue. There are multiple nuances a web developer has to consider, when working on the mobile version of a website. They include different screen sizes and resolutions, website type, loading speed, readability and more. Web design cost may be higher as well, because you will need to pay for both website versions. Responsive websites, in their turn, are frequently more convenient as there is no need to make any edits at all here. Such websites are optimized for mobile viewing by default and you can use your mobile devices and desktop computers to browse them. This is easy, quick and it doesn’t take much effort and time at all. Switching between the modes is done automatically by the adaptation of content, navigation, design and other elements to screen parameters. Responsive websites look great on any devices and this is their undeniable benefit. In the world of today, there is, probably, no person, who doesn’t use mobile devices to browse the web. This is what makes mobile-optimization a must for any website. As soon as you start thinking about launching a website for personal or business use, you have to think about making it optimized for mobile viewing. This can be achieved in two major ways – whether by creating separate versions of your website (desktop and mobile) or by making your project responsive right from the start. 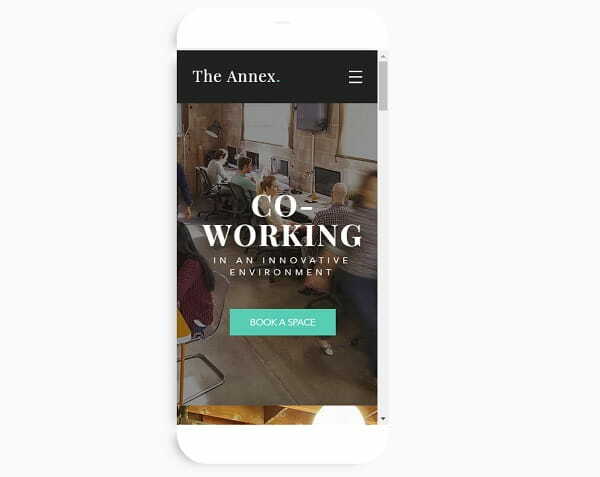 Wix allows building mobile-optimized sites without the need to create two separate websites. Due to its advanced Mobile Editor, you can easily switch between the desktop and mobile modes, adjusting their design as you need. The changes you make in the mobile version are not displayed in the desktop mode. If you decide to edit the desktop website version, the changes you make will be automatically reflected in the mobile website. uKit, in its turn, allows creating responsive websites by default. All its templates are responsive right from the start and you just need to customize them as you like without being worried about activating/deactivating the mobile mode. Both DudaMobile alternatives have their pros and cons and it’s up to you to decide, whether you’d like to use Wix or uKit. Both systems ensure decent result and allow launching quality mobile-ready websites. This is what makes them decent DudaMobile Alternatives.